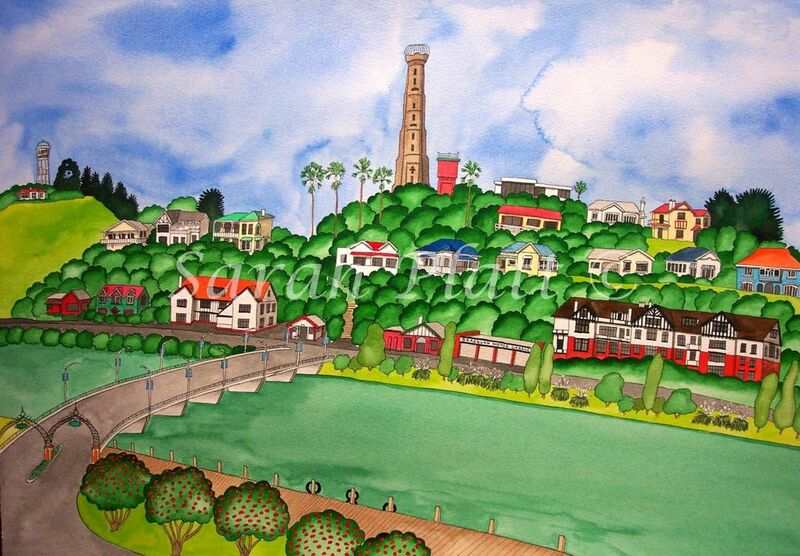 My family home is on the very left hand side of this painting under the Water Tower. After they closed Queens Park School due to earthquake risk, my brothers and I went to Durie ill School via the Putiki bus route. My Grandparents bought a house close to the school and fattened me as I went to their place for lunch every day. As a teen I’d meet up with my best friend every morning on my bike on the way to school. Rendezvous was outside the Red Line Inn. She’d whiz down the zigzag track from the where she lived near the Durie Hill tower, and go home up the escalator at the end of the day. The canvases are printed on heavy textured synthetic linen with genuine lucea cannon inks guaranteed fade resistant for 70 years and are stretched over a frame. The sides of the canvases are black.